Hey, I wasn't able to successfully make that probiotic solution. I ended up purchasing the kombucha from a grocery store. And after tasting it, I realized it would be too acidic to apply to the skin directly. So currently I have only been drinking it occasionally; it's quite expensive to drink everyday, so I can't really say for sure whether it's helping. I'm still in school, and without much money, but I do plan to go full on in terms of changing diet/taking probiotics once I land a good paying job in the future. For the time being, BP will keep it at bay. Makes sense. I just want to ask one more thing. Were u ever on accutane cuz in my case I think that might have been the trigger. That makes sense. I just want to ask one more thing, were u ever on accutane? Because for me I think that's where the problem started. No, only antibiotics both topical and oral. 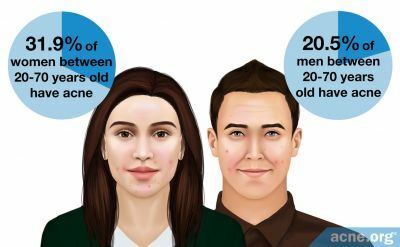 Some people here do say that accutane is the cause of this issue. It's logical to say so since it's a drug that can cause harmful effects to your organs, your intestines and liver being a couple examples. Okay, I get it. Thanks for the regualr replies mate. Hopefully someday we will come up with a CURE. The person who has "white pus zits" on his chin most likely has candida or malassezia. If you have a white tongue, and possibly gut problems, unexplained tiredness, feelings of disorientation, and you have taken antibiotics, then you most likely have candida. 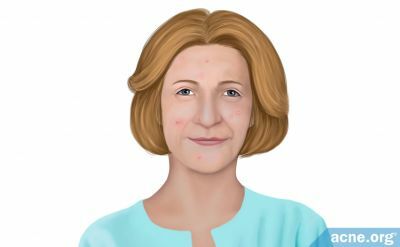 If you have dandruff, flaky skin, and possibly deborrheic dermititis and you have taken antibiotics, then you most likely have malasezzia. Antibiotics cause candida and/or malassezia in otherwise healthy people. Doctors are in denial about candida and malasezzia (usually caused by antibiotics) in otherwise healthy people. Do NOT take antibiotics unless you have a life threatening bacterial infection which cannot be controlled by topical means. Also, dab some tea tree oil or eucalyptus oil on the spots with a q-tip (cotton bud). Do NOT use moisturiser on your skin - malassezzia feeds on the organic oils in moisturisers, and both candida and malasezzia love moisture. Keep your skin dry. I am not a medical doctor, and thus I cannot give formal medical advice. Notwithstanding that, my advice is based on 2,500 hours of reading scientific literature about candida and malasezzia, and on my own considerable experience. The above treatments will work. Try them. After 1.5 months of minocycline, acne-like pustules affected my chin, beard area, scalp, and chest. And one dermatologist gave me treatement for Malassezia (Ketoconazole). But I don't think that solved the problem. My main dermatologist said it is not Malassezia. I used accutane very low dose simultaneously at that time. Soon everything cleared except around-mouth white pustules. For something else I used amoxicillin and it cleared the around mouth pustules in 3 days. A bit later I went to my main dermatologist and she gave me minocycline again, and it cleared pustules completely in 3 days. When I go off of minocycline pustules return in a week. 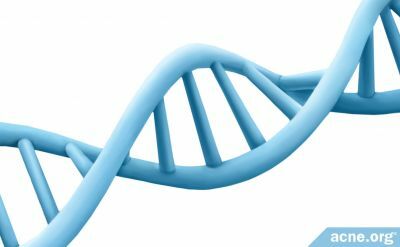 Conclusion: Is there a test on what is causing the disease? If yes, dermatologist should perform it prior to prescribing certain therapies. They should even make a sensitivity test on the lesions not to prescribe antibiotics that won't work. But this is probably rocket science for dermatologist. @anotheruglyboy I'm also starting to suspect accutane is causing these white pustules for me. After my last 3+ months course of Minocycline I started accutane (10mg every other but I'm very sensitive to it) as I cannot take minocycline forever, and my face exploded in these pustules. I also tried BP which only burned my chin and I think made it worse. I'm starting to think not to use anything at all. I'm stupid not to use just water after my last minocycline course. But what I probably can conclude that it is bacterial, and it responds very well to Minocycline and Amoxicillin. But I would like to make a culture to see. 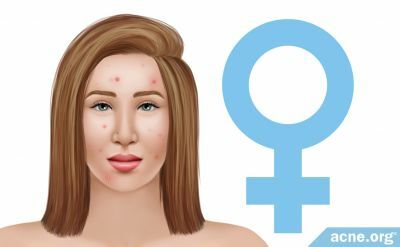 For me it was rather a horrible experience as I was on accutane for just 15 days after which I stopped because of the side effects, my face exploded with acne far worse than it was before all over my face. That day I decided not to use anything for my acne I just used to wash my face twice a day with a regular face wash. Within 3-4 months my skin was back to normal. I just committed one more mistake, I shaved when I still had acne on my jawline and I think that caused some kind of infection for which I had to go on antibiotics. It cleared me for good 4-5 months but after that I landed up with this terrible condition. Don't know what's the cause behind it some say it is due to gram negative bacteria while others say that it is gut related. I would recommend you to continue with BP for two weeks at least, it is going to make your skin burn and flake initially, but it is worth it. 1. Ketaconazole will not necessarily control malasezzia, so ketoconazole not working to control the problem does not mean anything. 2. The medical profession, in general, is "in denial" about skin fungal outbreaks. 3. Culturing candida and malasezzia is very difficult. Malasezzia has to be cultured in organic oil, which virtually no-one ever does. 4. Antibiotics will sometimes TEMPORARILY control malassezia or candida because (i) most antibiotics are anti-inflammatory and so they stop the inflammation caused by the fungus, and (II) some people have a secondary bacterial infection on top of their fungal outbreak, and the antibiotics control the secondary infection. 5. 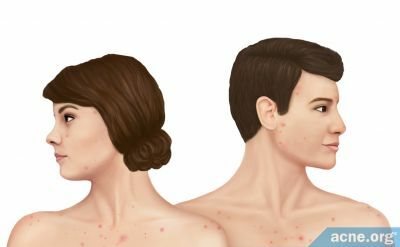 The best way to establish whether someone has malasezzia or candida is by checking whether the person has dandruff, flaking skin, possibly seborrheic dermatitis, pustules, cysts, ingrown/infected hairs etc. (indicative of malassezia) and/or a white/yellow tongue, itchy/painful rash, pustules/cysts, ingrown/infected hairs (indicative of candida), and then apply the correct topical cream for the condition. Terbenafine cream (lamisil) will control malassezia, and nystatin cream will control candida. Climbazole shampoo (not to be confused with clotrimazole) will also help control malassezia. Clotrimazole cream will help to control candida, and possibly malassezia. 6. Topical creams are very safe, and one tube is not expensive, so I would apply the diagnosis above (dandruff ?, white/yellow tongue ?) and then apply the correct topical cream for malasezzia and/or candida. If the correct antifungal cream for the fungal genus does not control the condition, then go to "Plan B". But try the correct antifungal cream first (for the specific fungus), because it is safe, cheap, simple and will control many "strange" skin conditions. 7. Also wash the affected in chlorhexadine (sold as Hibiclens in the US). Chlorhexadine kills staph and it has some antifungal activity. Don't touch affected areas without washing hands twice in antibacterial hand wash. Use a special towel (which you wash often) or disposable paper towels for affected areas. Never touch your nose and then touch affected areas (most people carry staph in their nose). 8. And finally, fungal skin conditions are CAUSED by taking oral antibiotics. Do not take oral antibiotics unless you have a life threatening bacterial infection which cannot be treated topically. BP burns my skin, doesn't help. After previous round of Minocycline I used Miconazolum cream on my face and Ketaconazole shampoo for hair and chest, which I also tried on my face. As recommended I used these two products alone for couple of weeks , and I dont think I saw improvement. My face, scalp and chest cleared then from "acne" but I took very low dose of Accutane which I attribute for the clearance. Accutane didn't clear the around mouth pustules (perioral dermatitis like). Antibiotics clear it in 2 days (bot Minocycline and Amoxicillin)! What maybe helped me before for around mouth pustules was mentioned clorhexidine diacetate not present on my market. I bought it abroad. But again I used low dose of Accutane then in paralel. Now I bought clorhexidine gluconate present on my market. And this one is in 70% alcohol which burns. And clorhexidine diacetate was in water I think. I dont know if amoxicillin is also antiinflamatory, minocycline is, but dont know if for all microorganisms. Before I assume Head&Shoulders shampoo helped my face, which has Zinc Pyrithione (antifungal), but I think also burned my face, and I think they changed formula. Now only burns face. But before I would swear it helped me, now I'm not so sure it did. I regret using accutane now after longtime minocycline (almost 6 months with some pauses). Perhaps I should have left my skin alone, don't use anything at all (topical nor oral) just wash with water. I don't use anything topically btw, just wash with water and dry it with tissue paper. @Aussie Scientist Now Amoxicillin helped me, and it has no antifungal or antiinflamatory properties as per my findings. So it shouldn't have effect on fungal infection. If the infection returns after stoping Amoxicillin I can definitely rule out fungal infection. 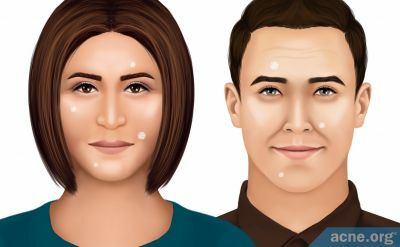 What remains is doubt is it very severe adult acne or Accutane induced severe acne. @anotheruglyboy Perhaps you can try a week of Amoxicillin if the pustules are scarring you, and then you will know what is the origin of infection. 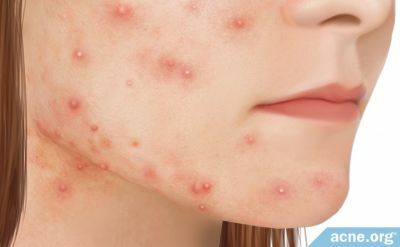 But do be aware that ketoconazole and miconazole will not necessarily control fungal skin outbreaks, as candida and malasezzia can be resistant to these antifungals. You should be able to get chlorhexadine in water. I would not use chlorhexadine in alcohol, as it will be highly irritating to skin. Antifungal shampoos contain sodium laurel sulfate which is very irritating to skin. The best antifungal shampoo (which is not irritating to skin) is Mustela Foam Shampoo for Newborns. Minocyline is anti- inflammatory for the person, notfor the organism. Minocycline calms the human's immune response to the infection - this is why it is anti-inflammatory. @Aussie Scientist Thanks very much for your advices. https://www.apotea.se/klorhexidin-fresenius-kabi-kutan-losning-0-5-mg-ml-250-ml This is the exact thing I bought before, I just dont know was it 0,5 or 1 concentration. I think this is in water. Don't know if I can import this thing within EU though. I asked my pharmacist she said she doesnt know, didnt want to tell me looked like. I think anti-inflammatory means it neutralizes substances released from microorganism without killing the microorganisms themselves. Reducing the human's response would be anti-immune (which can be dangerous probably, like coricosteroids). I think this is the difference. I read something about that, but am not 100% sure. I do not know what this product is - it is in German. Anti-inflammatory means something stops the inflammation caused by the body's release of cytokines, prostiglandins etc. in rponse to an invader. Candida itself also releases prostiglandins, so one has to stop the inflammation caused by the candida itself, as well as from one's own body, to give the antifungal a chance to control the fungus. Topical hydrocortisone is safe if used for a few days only.Yyes, it does reduce one's immune response but it stops the inflammation, and doing that is essential to allow the antifungals to control the fungus. You can use hydrocortisone cream or lidocaine/lignocaine cream or topical diclofenac etc. to stop the inflammation, whilst applying antifungals. If BP burns your skin that means you haven't used it long enough to see its effects. Guys, I know this sounds greedy, but I really just want to find a cure for this and not have to apply ointments, creams, and use BP face washes everyday, because I know these chemicals aren't very healthy for you in the long term. Even though I know the BP route will reduce the amount of pustules greatly, I really yearn for a 100% cure. I'm feeling so depressed lately, and losing hope on this. I know it's superficial, but it's taking a huge toll on my confidence and social life. Feeling the same, everthing else in life is going great, but this doesn't let me enjoy anything.